Opel was established in the year 1863 and it is basically a Car Manufacturer from Germany, which is at present a segment of General Motors. Similar to other car makers Opel initiated with offering something more in addition to vehicles and here the case was related with sewing machines first and after that bicycle. In the year 1988 it had purchased a manufacturing plant for cars which was related with Friedrich Lutzman. After the death of Adam his sons started to move with the commitment for making cars for a couple years with the Lutzman after this they started on their own. In the year 1902 they entered into partnership with Darracq, which is actually a carriage maker from France and Opel supplied bodies. In the year 1906 the two partners parted ways and Opel was now equipped with the experience that can help them in making cars on their own. The introduction of first model was carried out in the year 1902 at Hamburg Motor Show. The manufacturing of cars was carried out at Opel plant initiating with the 1907 along with the sewing machines, till 1911 at that time a dangerous fire destroyed the factory completely. The production recommenced and this time the focus was only upon cars sewing machines were rejected and the manufacturer started manufacturing motorbikes. By 1913 they were successful in becoming the biggest maker of cars in German region. Opel introduced in the year 1924 first mass produced line of assembly in the Germany. Now the cars produced by this manufacturer had attained the reputation of being not only cheaper and trustworthy and this quality provided great help to the manufacturer and it was capable of surviving in the inflation. But things were not moving in the right direction and owners of Opel started to search for a decent partner which can help them in surviving. They entered into partnership with American GM who purchased a major part of the shares, but gave the power of decision making to Opel when it was related with the production of cars. 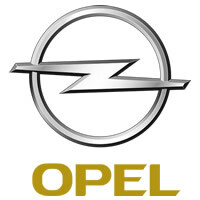 When 1930 approached Opel had acquired the status of being the largest maker of cars in the European region. The fact which can't be ignored is that its association with GM increased its reach to the international markets and gave Opel opportunities related with expanding their production and newer models like Opel Olympia were introduced. It needs to be mentioned here that World War II no doubt was a very tough time for not only the factory, but also for the entire organization. After the termination of war Blitz truck was the first vehicle which was presented forward. The complete repairing of the factories didn't occur till 1956. A newer plant was set up at Bochum and newer version Kadett was introduced which was a success. After this, diversification of the lineup was carried out for including some entertainment for the lovers of sports cars. 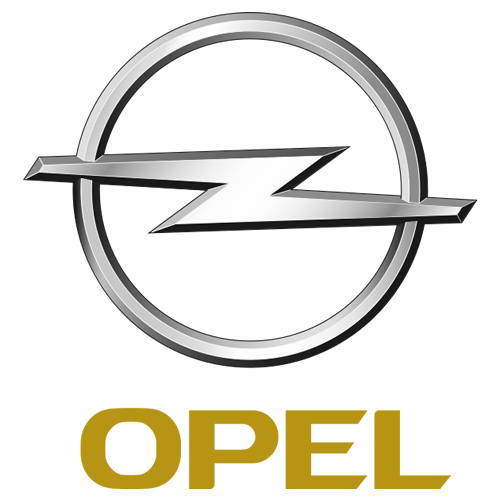 After these alternations Opel was successful in retaining the title of being the largest car maker of Germany in the year 1972. In the year 1963 a plant was opened at Ellesmere Port and after this in the year 1967 another plant was opened in the Antwerp. During the 80s many plants were opened all around the globe. In the year 1988 the introduction of catalytic converters was carried out on all cars. After a year the premiere of sporty Calibra was carried out and the manufacturers had produced 25 million vehicles since its establishment. In the year 1991 Kedett's production was stopped and Astra was introduced as its replacements. After this Frontera as well as Monterey were the vehicles which were launched. The production of Agila started in the year 2000, which was a unique addition to the German market. In the year 2001 Corsa was introduced as the new generation vehicle and Astra was the second generation. The section of market of sports was taken by Speedster and Tigra. Opel moved with the aim of leading the game and bringing products possessing high quality to the consumers at inexpensive rates. The case can be that Opel is making efforts for breaking into the complete new class along with other competitors of Germany line BMW, Mercedes, etc where luxury is given due regard and introduction of Insignia took place in the year 2008.